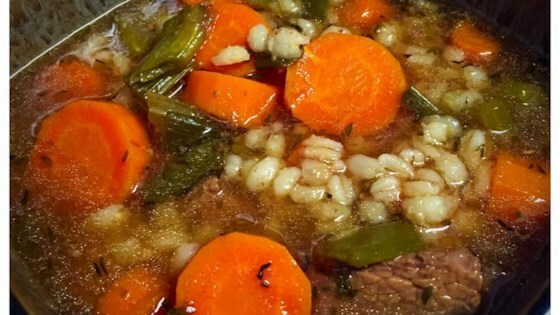 A nice budget friendly, easy soup for a cool winter day. I only had quick cooking barley, so I added it in the last 30 minutes of cooking. very good. You should give it a try. I used chopped white onion, instead of the green onion. Other than that, I followed the recipe exactly and it was delicious. Great way to used leftover pot roast, steak, etc. !